Could Australia be the first country to eliminate cervical cancer? In the 20th century, the smallpox virus killed an estimated 300 million people. Now, the annual death toll from smallpox is zero. This is because worldwide education and vaccination eradicated the smallpox virus, with the last death from smallpox in 1978. The eradication of smallpox demonstrates the potential of a vaccine to save lives, whether by eradicating a virus or eliminating it as a public health problem. Today, we are on the cusp of eliminating a disease from Australia. One that kills hundreds of thousands of women each year throughout the world. 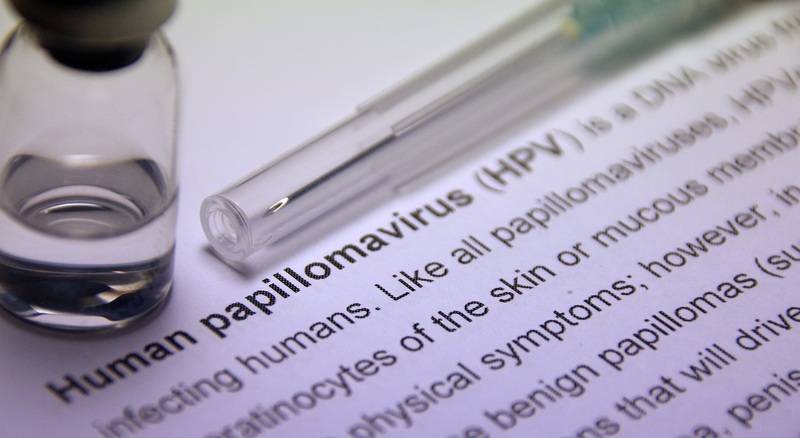 If our current screening and vaccination programs for the human papillomavirus (HPV) continue, Australia could eliminate cervical cancer by 2028. This would make Australia the first country in the world to eliminate cervical cancer. Note that elimination is not eradication. Elimination means that cases of this cancer would be so rare that cervical cancer would no longer be considered a public health problem. And of course, to keep cases of this cancer at a low number, screening and vaccination programs would need to continue. Complete eradication of a virus such as HPV is only possible through a worldwide program of education, screening and vaccination. In 2012, there were 270,000 deaths from cervical cancer worldwide. In most cases, this cancer was caused by HPV. HPV is a common sexually transmissible infection. Many people won’t even know they have an HPV infection, because they develop no symptoms and their body clears the infection in a few months. But in some cases the HPV infection persists, and can cause damage that may develop into cancer. An HPV infection is now known to be the primary cause of cervical cancer, and has been linked to other cancers in both men and women. In 1991, 17 out of every 100,000 women (aged 20-69) in Australia were diagnosed with cervical cancer. The same year, Australia began the National Cervical Screening Program (NCSP). The NCSP provided women with wider access to a test called the Pap smear, which helped doctors identify and treat cervical cancer earlier. Then in 2007, Australia began a free school-based vaccination program for HPV. Vaccines use an inactive or weakened virus to teach your body’s immune system how to fight a disease. The HPV vaccine protected against the most dangerous strains of the virus. Because of these programs, by 2014 newly diagnosed cases of cervical cancer in Australia had declined to 7.5 out of every 100,000 women. According to a new study published in the Lancet, if these screening and vaccination programs continue, cervical cancer is likely to reach 4 new cases per 100,000 women by 2028. This is the threshold where cervical cancer can be considered eliminated in Australia. The NCSP has been evolving to better screen for cervical cancer. In December 2017 a new HPV screening test was introduced, and this more effective test is contributing to the elimination of cervical cancer. Here at the Therapeutic Goods Administration, we evaluate vaccines before they are supplied to the public, and then monitor them while they are in use. In 2017 we approved a new HPV vaccine that provides protection against more strains of this virus. We also support the safety and quality of the NCSP by approving HPV tests for population screening. You can learn more at the Department of Health’s Cancer Screening page. The potential elimination of cervical cancer in Australia shows how the public health actions we take today can save lives tomorrow. The elimination of cervical cancer in Australia could take place in the near future, but only if we maintain our national commitment to screening and vaccination for HPV.